The Wellborn plan - 1 story home with 1556 sq.ft, 3 bedrooms and 2.5 baths. 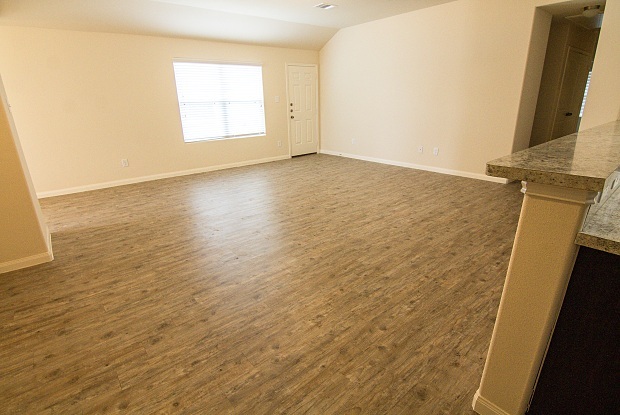 Features wood-grain vinyl plank flooring, two car garage, fenced backyard, and a sprinkler system. LAWN MOWING IS INCLUDED! Lease terms vary from 12 to 23 months depending upon available end dates. 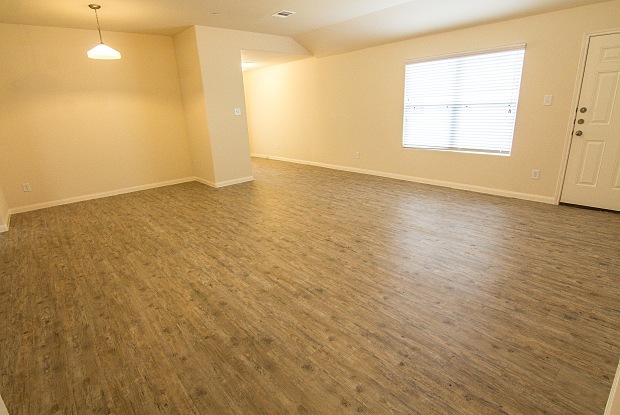 The specific options for the lease expiration date will be determined when the security deposit is received. Have a question for 2057 Oakwood Forest Drive?